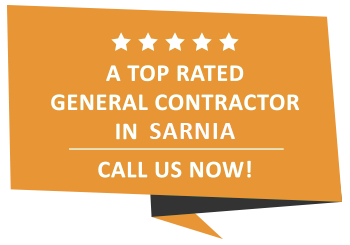 Home Improvements | Sarnia | Carosyl Home Additions Inc. Owning a home is a point of great pride for many people- it signals success and family. It also comes with great responsibilities such as maintaining the interior and exterior of your property. Many people will begin home improvement projects but quickly find that they do not have the time to dedicate to it. This is whereCarosyl Home Additions Inc. comes to the rescue for people in Sarnia. We have been trusted experts in remodeling, home additions and residential construction since 1981. Home improvements can include many projects. From demolishing a wall, to create an open floor plan, to simply re-painting,Carosyl Home Additions Inc. can complete any size of project. We understand that you value your home and that you likely have a dream of what you want it to look like. We pride ourselves on giving our clients exactly what they desire. If you aren’t sure what type of home improvements you are looking for, we can create plans and guide you. It is said that the kitchen is the heart of the home.Carosyl Home Additions Inc. provides Sarnia residents with the contractor they need to complete any kitchen remodeling project. Even a relatively small project such as new custom built kitchen cabinets can change the entire look of your kitchen. We love working with clients of all budgets and styles and can provide them home improvements that will make the kitchen their favorite room in the home. Have you been dreaming of having a spa-like bathroom in your home? Would you love to have double sinks and a jetted tub?Carosyl Home Additions Inc. can make it happen in your home. We have been remodeling bathrooms in the Sarnia area for over 25 years. From the layout to the paint color and the fixtures, we work with you to make sure the end result is the bathroom of your dreams. No matter what renovations or home improvements you are looking to do in your Sarnia home,Carosyl Home Additions Inc. can provide the expertise needed to get the job done. Contact us today to get started on making your home the best it can be!